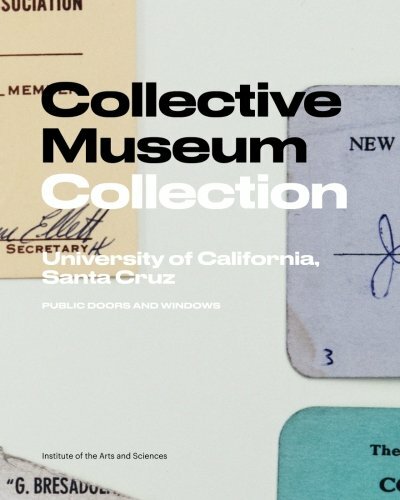 For Collective Museum, artist group Public Doors and Windows (Harrell Fletcher, Molly Sherman, and Nolan Calisch) reenvisioned the University of California, Santa Cruz campus as a museum. The museum collects stories from faculty, staff, students, and alumni and connects them to 50 sites on campus. A tour of the sites, with audio and text interviews, additional images and documentation, is accessible through a GPS-based mobile website, iascollectivemuseum.com. This book draws from the documents and images that compose the Collective Museum. It includes an interview between the artists and scholar James Clifford and original essay contributions from Miranda July, Rachel Nelson, and John Weber.